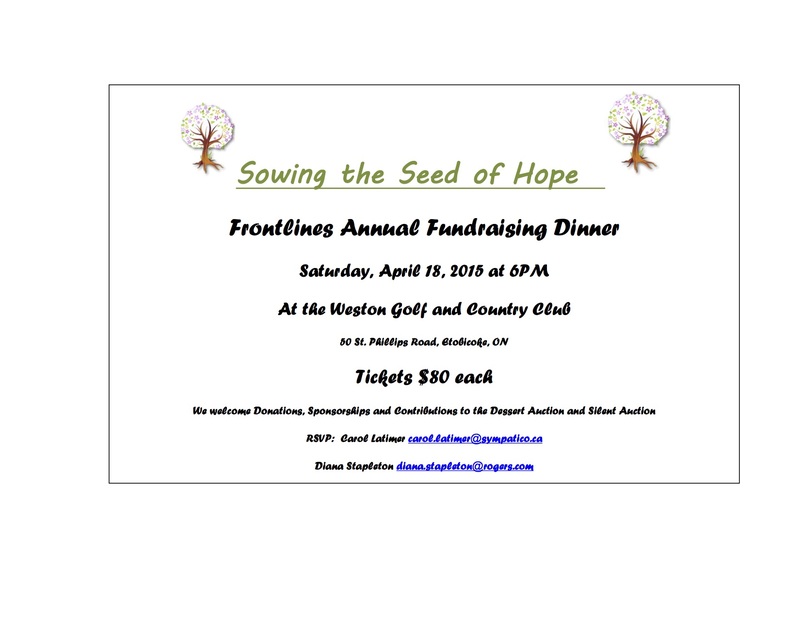 Frontlines will be hosting its annual fundraising dinner next month. The dinner is—I hear—a swish affair, and it’s certainly at a swish location, the Weston Golf and Country Club. Tickets are $80, and the money goes to a great cause. Previous Previous post: Winter is over!